The Ministry of Health and the National Emergency Response Council on HIV and AIDS recognized the relentless efforts of the Caritas Swaziland Palliative Care Centre – Hope House, by hosting the launch of Swaziland’s 2017 World AIDS Day Campaign, at the centre. Since 1988 Swaziland has dedicated the World AIDS Day to raising awareness and as a time of reflection on what the country has achieved with regards to the national and global response to combating the impact of HIV/AIDS and what is left to be accomplished. The event was a huge success, as it was attended by the Minister of Health, the honourable Sibongile Ndlela-Simelane, who in her remarks acknowledged the role Hope House has played in the fight against HIV/AIDS in the country. 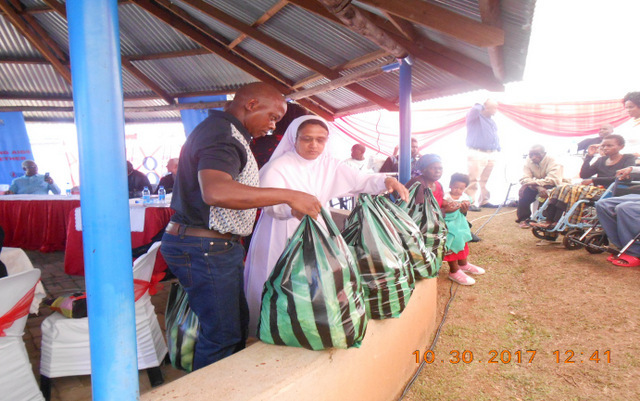 She made reference to the work that Caritas is doing in the areas of: Care and Support, and Impact Mitigation at rural household level, and how such activities have positively impacted orphaned and vulnerable children in the rural communities. 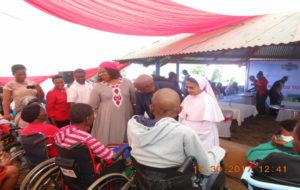 The success of the event which was organized within limited time, is dedicated to the Vicar General of the Diocese of Manzini who stood in for Bishop Jose who was on Church duties outside the country and the Programme Manager for Hope House who put together such an attention-grabbing and compelling Campaign.